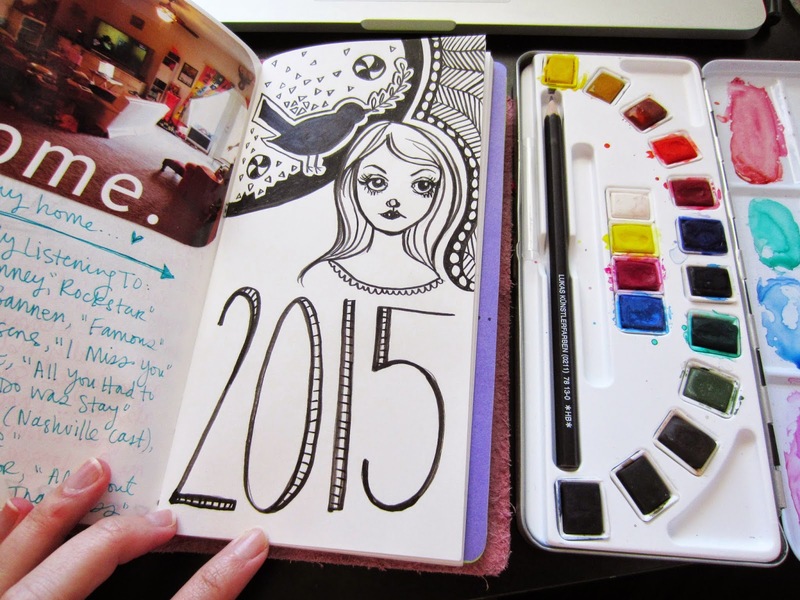 I'm finally getting around to working in my art journal that lives in my Midori for the first time in 2015. I made this little title page today and am wondering if I should color it in or not... I am kind of liking the black and white, but color can be fun too! Hope your 2015 has been full of creativity so far! I love the Black & White, but if you did color I would be extremely minimal, like just giving her eye shadow.